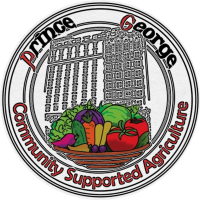 We provide two checkout options to our CSA members when it comes to submitting payment for CSA share(s) and/or additional product(s). As a member, when you sign-up, you may choose to pay via PayPal or Invoice. Below are details on each of these options. PayPal is a widely accepted credit card processor and payment system. With PayPal, you will be able to check out securely with a credit or debit card or your PayPal account. You may choose the Invoice option to receive an email invoice so you can pay by check. When an invoice-only order is completed, an email will be generated to you with order details. If you are stopping by to drop off the check directly, please coordinate with CSA staff (csapg@breakingground.org) beforehand. Office hours are Mondays through Fridays, 9am-5pm. Checks may not be left with the Security Staff. We hope that the online sign-up makes your CSA experience easier and more convenient! Click this direct link. By entering your Member Log-in (your e-mail address), it will not automatically charge you when you sign-in. You can just view your payment status if you wish.